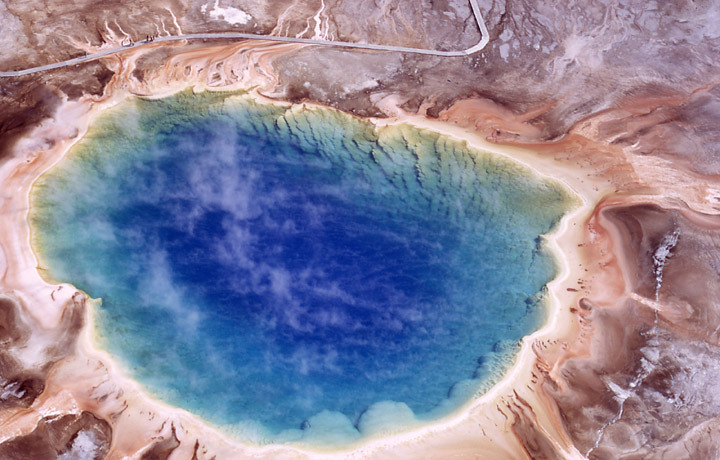 Have you heard about extremophiles? I don’t mean people who hang-glide over belching volcanoes or snowboard down Mt.Everest blindfolded. Those risk-taking, rock-climbing, canyon-jumping, rapids-rushing, bull-running, totally insane folks can’t hold a candle to the critters I’m talking about. Of course they have no brains, either – no self-awareness, no emotions, no music, no aspirations, no ice cream. There’s not a Rembrandt or Ted Williams among them. And that’s one reason that, as cool as it is to contemplate the sheer tenacity of these little lives, and as humbling as it is to know that when our high-achieving species disappears from the planet, extremophiles will still be doing their no-thing thing in unseen places, I’m glad I’m me, and not one of them. And yet… Aren’t there times when our human environment seems every bit as extreme as theirs? Times when we discover that we are all extremophiles (well, not philes exactly, since we don’t usually love our hardships)? Sooner or later most of us find ourselves in unforgiving conditions, at the far limits of livability, eating grief instead of bread, breathing pain instead of air; colonizing a subsurface world of depression and shame, or sojourning in the bewildering landscape of a bad diagnosis, an unfair dismissal, a financial disaster or some other almost casual calamity. We cling to life in the hot core of anger or on the frozen crust of indifference, subsisting for what seems like an eternity on only the tiniest of kindnesses and paper-thin hopes. And somehow we hang on, scratching out a living in extremis, expanding the definition of the spiritual habitable zone. How do we do it? Some people think it’s by force of will. Others think it’s by dumb luck, or good genes. More and more people swear by pharmaceuticals. But if you ask me, I’d say it’s water. We would never make it for a minute without water. They have come out of Egypt thinking that unbearable misery is behind them, a painful memory. But now they are three days into the even more miserable wilderness of Shur with no water in sight, except for the polluted stuff they find at Marah. Worse than no water at all is lots of water you can’t drink; and so, wanting to live and not to die, the people cry out to Moses to do something. Moses cries out to God to do something. And God? God answers Moses by giving him… a piece of wood. Moses picks it up and tosses it into the water. Now, notice that God does not tell Moses to do that. He does it on his own. I read one preacher who wondered if, when he saw that piece of wood, Moses thought, “Great! A piece of wood. This is so not a good answer to our prayer!”, and threw that stick into the bitter water in disgust – or in utter despair. But Moses’ God is the same God who makes it possible for some little bug somewhere under the earth in Peru to do rather well by eating rocks and breathing iron, so there’s no reason that a piece of wood can’t quench the thirst of God’s people, ailing in the wilderness of Shur. If you are looking for a life that persists in extreme conditions, for a life that thrives when by logic it should shrivel up and die, keep to the trail of water. And if you want a life that is more than life, more than merely coping with adversity, more than occasionally rearranging the furniture, more than the illusion of balance; a life rescued from the undertow of regret, fear, guilt or the dullness brought on by a lack of depth and challenge or by casual sin; if you want your life of obligation (and resentment) transformed into a life of delight and inexplicable, indestructible joy, take the same advice – keep to the trail of water. Follow that trail to a village wedding where the wine has run out, or to some other human circumstance in which even the best intentions and the hardest work have not been enough to make us completely happy. Follow it to an ordinary disappointment or embarrassment that rubs your nose in your everyday limitations, brings you face to face with your lack of foresight and wisdom, your inability to control circumstances, your lack of imagination, your tendency to give only a small fraction of who you are and what you have to the great feast of life, and then to complain that you have been shortchanged, that there is not enough. The trail of water – follow it to six stone ceremonial washing jars, holding twenty or thirty gallons each. Follow it to Jesus, who said that he has living water for everyone, and who out of compassion for our ineptitude is always changing the water of obligation and self-preoccupation and low expectations into a kind of extravagant and useless delight, a new and better wine. Always transforming the bitterness of the cross into the sweetness of resurrection. Always taking ordinary life and creating from it a miraculous adventure. How do we thrive in impossible climates? Human will? I admire it. Dumb luck? I am always amazed (and amused) by it. Good genes? I wish I had ‘em. Drugs? They can help. But I believe, and I know, that we would never make it for a minute in the challenging conditions of this life without the daily water of God, without the Christ of transformation – without their extremophile grace. Call it mercy, forgiveness, acceptance, welcome. Call it the power of the Holy Spirit, divine adoption, vision, vocation, hope. Or call it the central symbolic expression of Christian faith – call it baptism – that washing, drowning, refreshing, soaking, birthing, forgiving, restoring, including, welcoming water that makes extremophiles of us all, able and even willing to live and thrive in any circumstance or condition, including the forbidding habitats we are, by our sin, forever creating for ourselves. In a few minutes, God is going to make an extremophile out of Aidan. We will pour over him the water that signifies the grace that will help him thrive in all climates and conditions – including the harsh geology of his own sins and weaknesses (which, of course, he does not have very many of right now, but will surely start acquiring as soon as he is old enough to make a mess of things other than the purely biological ones he now makes several times a day). We don’t know what life holds for him – bringing a child into the world is one of the greatest acts of faith anyone can make – but by baptizing him we believe we will have done the best we can for him from the start. We will have given him water, the secret of an existence more astounding than iron-eating microbes and Zen bugs breathing slow. We will have welcomed him to the trail of water, where Life is always seeking other life, to know, to love, to thrive and to rejoice.